The Watson Museum in Rajkot, India is a museum of human history and culture. Its collections precious objects of colonial period of India and History of Rajkot. It is amongst the largest and most comprehensive museum in State of Gujarat. 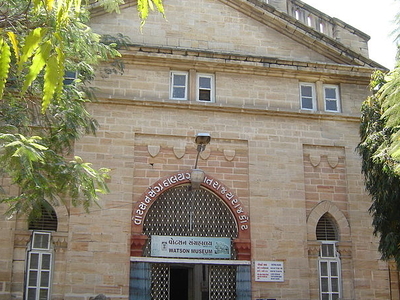 Watson Museum is considered to be the finest amongst 7 such museums located across Saurashtra (region) and run by the State Government because it holds invaluable articles and state-of-the-art facilities like photography, guide service, reference library and sales counter of the museum's publication. 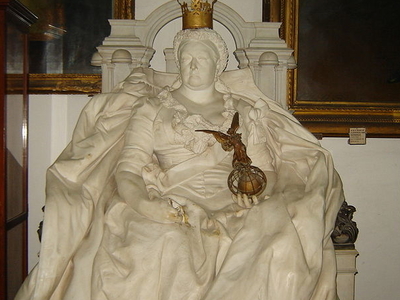 The museum is set up in the Queen Victoria memorial institute buildings located in Jubilee Garden, Rajkot. The Watson Museum was named in fond memory of Colonel John Watson in 1888. Colonel John Watson was political agent of Kathiawar Agency form 1881 to 1889. Watson Museum is the second most important museum in Gujarat, after the Museum of Baroda and is the oldest museum in Saurashtra (region). Colonel Watson was fond of his history and archeology and used to collect information on Rajkot. Most of his collections and other artifacts are preserved here. The museum building was completed in 1893, when it opened to the public by Governor Lord George Harris of Bombay Presidency. The Watson Museum exhibits copies of artifacts from Mohenjodaro, natural history, 13th century carvings, temple statues, costumes and design of the houses of the local tribal people. The Watson Museum also houses an excellent collection of traditional, archaeological items and coins. While the museum's archeology gallery also boasts of artifacts of prehistoric period and the Harappan civilization in the archeology gallery, a treasure of sculptures belonging to erstwhile Ghumali - a capital of Jethwa - grace the sculpture gallery. Here's the our members favorite photos of "Museums in Rajkot". Upload your photo of Watson Museum!